The new library at Sarah Greenwood School in Dorchester in 2015. The boy is just 10 years old but he has walked these halls long enough to recognize a minor miracle when he sees one. And, now – smiling broadly — he sees one. The wonder in the rising fifth-grader’s eye is provoked by what must at first seem a mirage. A dingy, overlooked space that had devolved into a small warehouse for odds and ends has been resurrected — rebuilt into what is the nerve center of any institution of learning. The wonder? 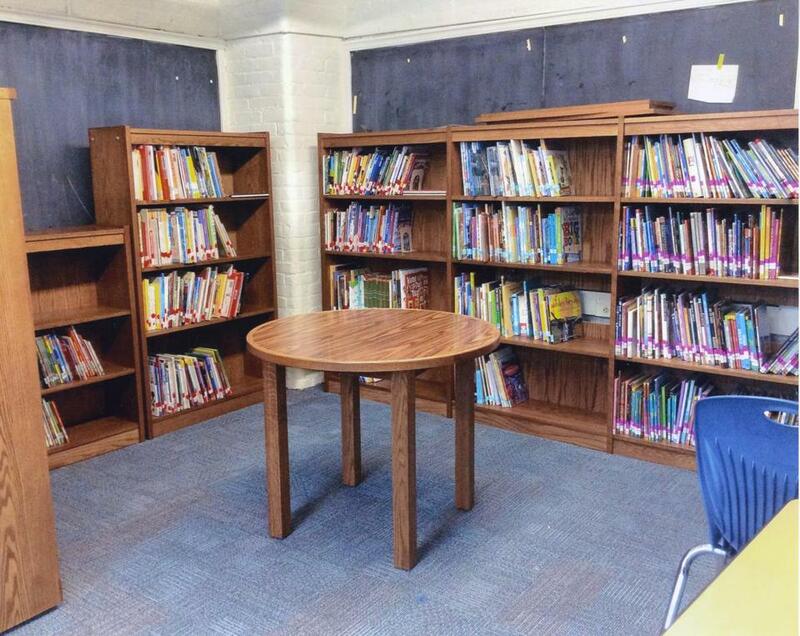 The Sarah Greenwood School in Dorchester has a brand new library. Uplifting is a good word for what has happened here over the last eight months. Let’s put it this way: This is not your taxpayer dollars at work. Mimi La Camera, who has been running nonprofit organizations in Boston for 40 years, had just stepped down as president of the Freedom Trail Foundation. Her son has a friend. His name is Alexander Mathews, and he’s the principal at the Greenwood, a K-8 elementary school where two-thirds of the kids are English-language learners. The two got to talking. His school needed a library. La Camera needed a cause. The Highland Street Foundation stepped up immediately with $10,000. Bob’s Furniture raised its hand and said it would pay for handsome wood bookshelves. The Fish Family Foundation paid for new carpeting. Fidelity donated. So did US Trust. So far, La Camera has raised $30,000 for the project. She needs $50,000 and knows she’ll get it. Why? Because Mimi La Camera knows something fundamental about basic human kindness. “Fund-raising is nothing more than giving people an opportunity to do something good,’’ she explained. For example, when she mentioned her project to painters doing work at her Back Bay home, they insisted that they paint the new library for free. And they did. This gift to his kids, Mathews said, comes with a responsibility. “As soon as you have a new library, what we’re saying to these kids is, ‘We now expect you to read,’ ’’ he said. She’s right. We are barraged by bad news. Too much violence. Cowardly national politicians held hostage by the gun lobby. Scoundrels who seek national office, fanning flames of bigotry beneath the false mask of patriotism. So sometimes it’s easy to miss the small miracles all around us. They happen every time a bucket of ice is dumped over someone’s head. They happen every time a visiting nurse, or a hospice worker, or someone bearing groceries for an elderly neighbor steps out of a car. And it’s happening at this neighborhood school on Glenway Street in Dorchester. When the school bell rings in 10 days you can imagine the reaction of the kids when they walk into their brand new library. “Wow,’’ they’ll say. And then they’ll walk away with a crisp new book down a freshly painted corridor. It’s a freedom trail they’ll call their own.